New fresh color, but what to call it? 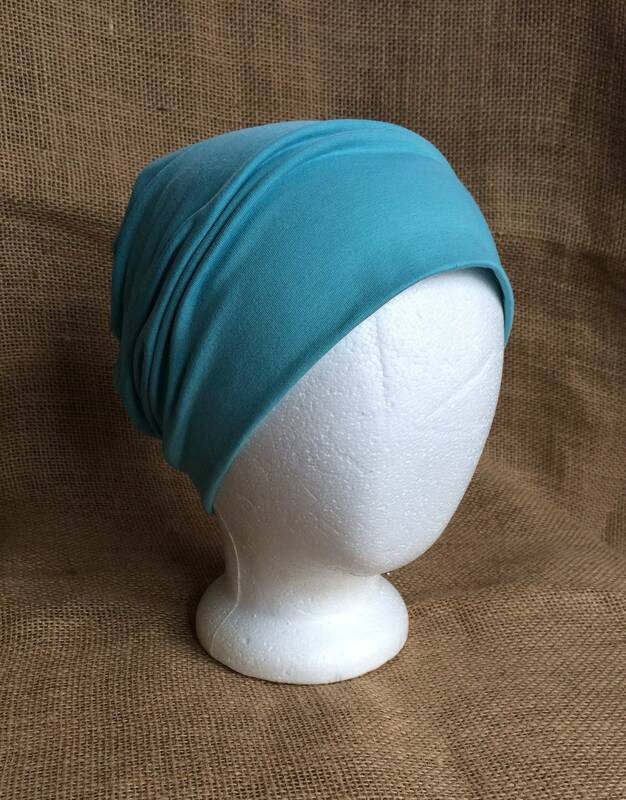 Sea green, cyan, light turquoise, light teal, mint? Whatever you call it, it's a gorgeous color and appears more green than the photo's show. 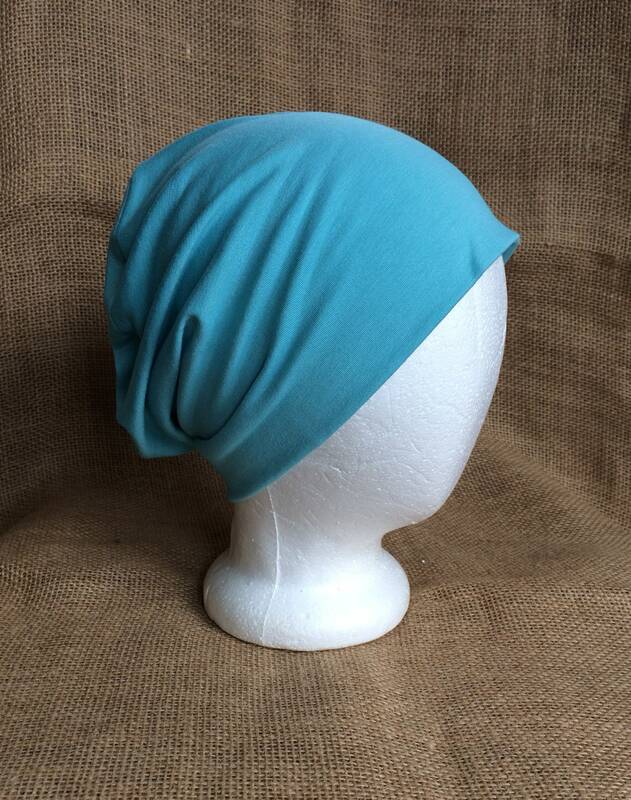 Organic cotton and bamboo chemo headwear, with 67% bamboo, 28% organic cotton and 5% spandex. 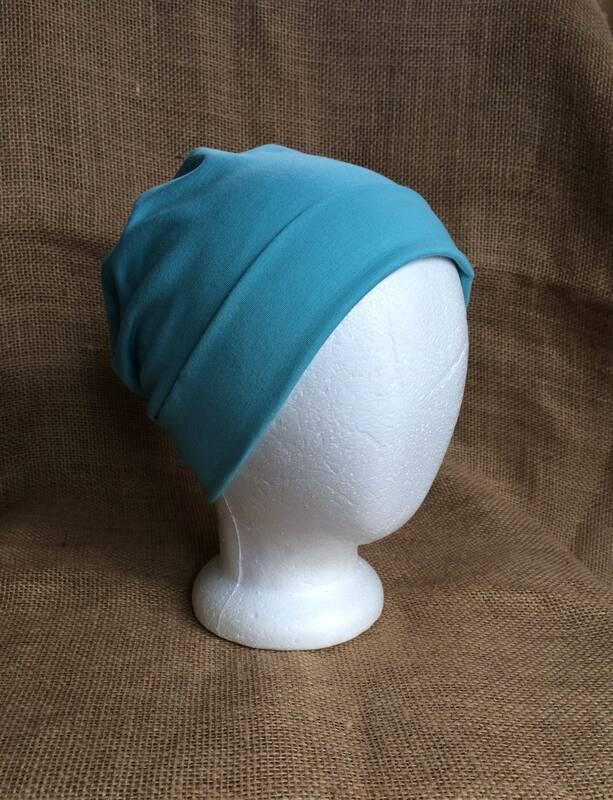 Soft, stretchy and breathable organic hat that's soft and comfy enough for those undergoing chemotherapy treatment. Bamboo is perfect for sensitive skin. 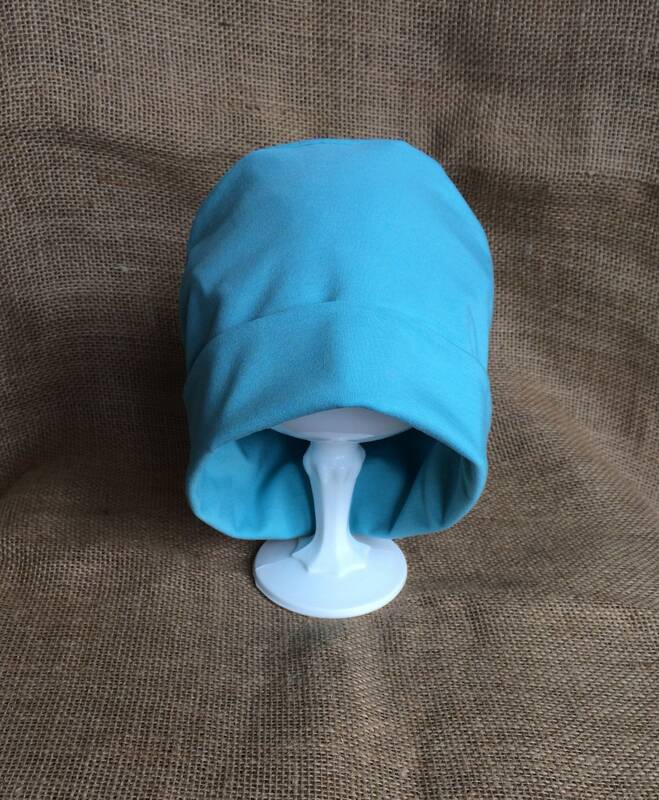 Handmade from high quality Organic Bamboo material cut right from the bolt, a great choice for organic, hypoallergenic, breathable and absorbency. Love this hat, but want to see more colors?